Mr. Ajay Kumar bought a new car last year and without wasting any time he also availed a comprehensive car policy. Mr. Kumar thought his policy would cover all sorts of expenses arising out of any mishap. However, he was wrong. Once his car met an accident and the total expense of repairing the car was Rs. 1.5 Lakh. Contrary to his belief that his insurer would take care of the entire costs and he wouldn’t have to spend anything, he did spend Rs. 40,000 out of Rs. 1.5 lakh. Since Mr. Kumar bought a comprehensive car policy, he received the claim only after the depreciation deduction. That is why, his insurer paid him Rs. 1,10,000 instead of paying the total claim amount of Rs. 1.5 lakh. Had Mr. Kumar bought a zero depreciation policy, he could have saved Rs. 40,000. What is the depreciation value of a car? Due to regular use, the value of any asset starts to diminish and cars are no exception. When the value of the parts of any vehicle decreases it is known as depreciation. When it comes to a comprehensive car insurance policy the depreciation rate varies between 0% and 50% on the basis of the material type and the age of the car. Here is a complete rundown of the depreciation deduction in a comprehensive plan. One stark shortcoming of the comprehensive vehicle insurance plan is it doesn’t cover all expenses. Insured people have to shell out money for renovating fiber, rubber and plastic parts. Owners of old cars also have to spend a large amount of money as their old motor parts are replaced by new ones. In a major road-mishap, the expense of restoring these parts can rise over Rs 1 lakh. The owner of the car has to bear these costs even though he or she is armed with a so-called comprehensive cover. A zero depreciation plan provides policyholders with full claims without any depreciation deduction. This extended cover encompasses the repairing costs of glass, fiber, plastic, rubber parts and windshield. Zero Depreciation car policies made inroads in the Indian insurance sector back in 2009 in India. The policy is highly sought-after nowadays as an increasing number of car-owners in India are becoming aware of the loopholes of comprehensive car insurance plans. Some specific insurers offer extra benefits for choosing this cover. For an instance, Bajaj Allianz General Insurance offers this cover as a part of their package. Aside from the usual coverage the plan further extends to roadside assistance and engine damages due to hydrostatic lock. Tata AIG General Insurance also provide their policyholders with this cover as a part of their comprehensive policy and further ensures that their policyholders does not lose out on their no-claim bonus. Although this cover looks fantastic . It has its own set of drawbacks as well that many insured people and prospective policy buyers are not aware of. 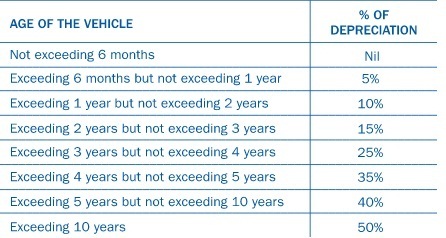 Most insurers offer this extended cover only for the initial 3 to 5 years of the vehicle’s age. Once this stipulated time period is over,even if policyholders don’t make any claim for the initial 5 years, car insurance companies in India provide policyholders with comprehensive plans. Aside from these specific exclusions, policyholders should also be mindful of the terms and conditions of getting a claim. The whole purpose of opting for such an expensive cover is to receive full claim. So, it is crucial to know when claims will be null and void. When a zero depreciation claim is null and void? The claim would be Null and Void in case both of the car keys are stolen or lost and Car is stolen too, unless the insured person files an FIR at the nearest police station prior to the missing of the car, the actual asset. Furthermore, all policyholders irrespective of having a zero depreciation cover or comprehensive plans have to spend Rs. 1000 as compulsory deductible in case of a claim. Usually these zero depreciation covers come with a cap in terms of number of claims that can be made in a year. Insurers are very strict in this regard because policyholders would otherwise go for a claim for every tiny damage to their cars. In order to restrict insured car-owners from getting overboard in making claims many leading insurance providers in India such as Bharti AXA don’t pay more than two claims per year. Insurance companies like Reliance General Insurance have further laid out a condition that clearly states that repair of cars can take place only at the workshop of an authorized dealer or the repairer that the company approves. Does it make sense to go for this cover? People those who are on the lookout for affordable motor insurance plan might find this cover out of their budget. The cover, on the other hand, fascinates those who don’t have a budget issue and seek peace of mind. In a nutshell, owners of high-end cars with costly parts can go for this type of extended coverage. However, for low-end cars, one is better off investing in emergency fund rather than choosing a zero depreciation car policy. Many people are under the wrong impression that this special cover is ideal for budding drivers as they are most likely to cause car accidents. But the fact is, even the most experienced and skilled drivers get involved in accidents simply because of the other careless and unskilled drivers on the road. 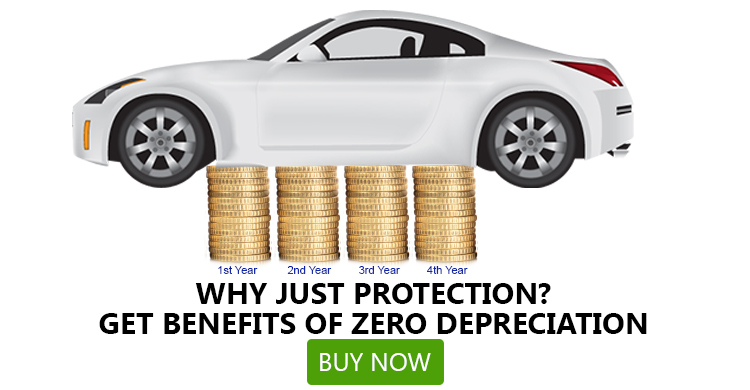 A zero depreciation cover does not save insured people from spending money in time for a claim. The coverage it offers is wider than that of by comprehensive policies, but far from being all-inclusive. Moreover, the cost of availing such cover is also higher and the cover is not available for more than 4-5 years. One can only make a specified number of claims per annum. All these facts are usually kept hidden by insurers so one should gather enough information beforehand, and assess the quality of one’s own car before opting for a zero depreciation cover.